Of course, there was an outrage following this. The MPAA had restricted the viewing audience, and reducing the audience the movie was built for (ages 10 – 15). A massive petition broke out, garnering over one hundred thousand signatures, but the rating still stood. The Weinstein Company, the distributor, then made the decision to release the film as unrated, shrinking its audience. Major multiplex chains won’t show unrated features. This was March 2012. Eleven months later, with another tamed down PG-13 version that was briefly engaged in a limited run in theaters, the movie was released on DVD/Blu-Ray and Netflix. Bully may be no more than your slightly-above-average documentary, but it has a message and covers it to the best of its ability. 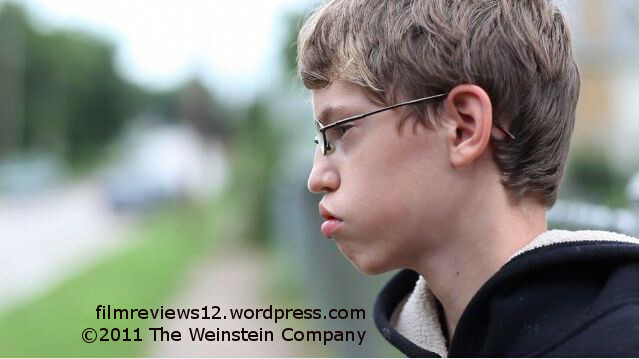 It follows a handful of students that are being bullied on a regular basis, and the effect it has on their families. It also focuses on two who have committed suicide due to this, and as a result, causing their own families to begin strong anti-bullying campaigns. The one thing I noticed about Bully are the locations of its subjects. They are nearly all in the Southern United States, which statistically, has some of the lowest average education rates. It could be that these two factors are indeed connected, or it could be a filmmaking flaw – it’s all skewered in one region. A better documentary would include more varied locations. That doesn’t reduce the overall effect of the film, though. It’s still a harrowing, disturbing look at a real problem that, sadly, school boards aren’t doing anything about. It’s possible that having to claim responsibility for these issues would result in a burden that most would be too afraid to bear. Please understand I do not see that as an excuse for this kind of response, but only a speculation. These kids are all tormented for different reasons. Alex, age 12, from Oklahoma, isn’t very athletic and is kind of thin. Ja’Meya, age 14, from Georgia, is constantly made fun of on the school bus, to the point that one day, she took her mother’s gun and waved it around, resulting in her spending extended amounts of time following in a juvenile detention center. Finally, Kelby, age 16, lives in a Bible belt town in Oklahoma. She’s a lesbian, and is cruelly shunned by the residents of the town over her “sinful” personality. She says that she had contemplated suicide on multiple occasions. Tyler, age 17, and Ty, age 11, from Texas and Mississippi, respectively, are the two that actually did take their own lives. All of these stories, of course, are heartbreaking. There are those who lost the will to live due to cruelty from other kids, and those who endure it on a regular basis. 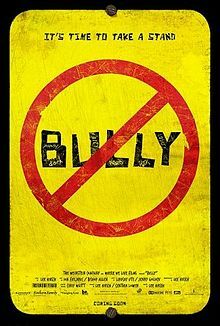 Bully isn’t a perfect movie, but it is an excruciatingly important one that must be viewed. Watching it isn’t just watching a movie, it’s being thrust into the norm for far too many people. It’s wonderful to think about the coming of a day where there is no more bullying – where our differences enhance us, instead of us seeing them as an opportunity to tear each other down. But as every story of a tragic suicide, like Tyler or Ty’s pierces our souls, the day we strive for still fades into a distant fantasy, no matter how hard we are fighting for it.